Product prices and availability are accurate as of 2019-04-16 13:13:36 UTC and are subject to change. Any price and availability information displayed on http://www.amazon.com/ at the time of purchase will apply to the purchase of this product. 1-1/2"; Zinc-Plated Steel. Drill A Pilot Hole With A 5/64" Sized Drill Bit When Using Wood Screws. Designed To Reinforce Corners On Chests Screens, Windows, Etc. 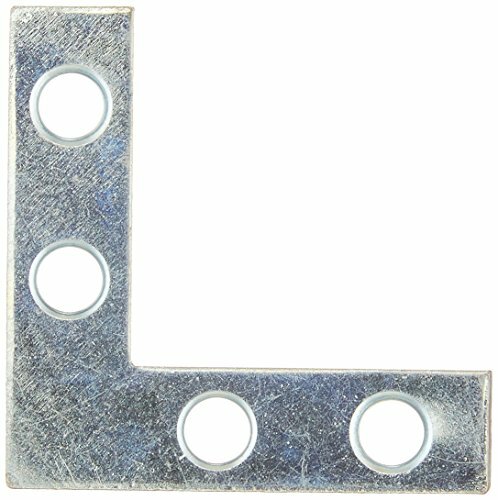 Corner Braces, measure 1-1/2 inches, in rust resistant, zinc plated steel, reinforces flat right corner angles and joints in wood boxes, crates, screens, furniture, windows, and doors. Screws and four braces per package are included. 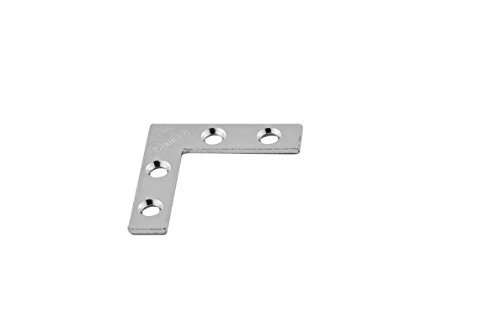 The Stanley Hardware flat corner brace is designed to reinforce flat right-angle corner joints, making them ideal for corner joints of wood boxes, crates, screens, windows, furniture, and doors. The 1-1/2-inch zinc-plated braces come four to a pack and include screws for installation.